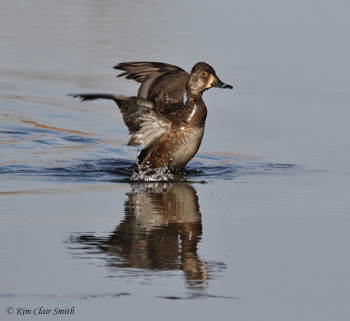 A few weeks ago I was counting birds in rural Marion County in central Ohio. My count partner Jim and I were participating in one of the many Audubon Christmas Bird Counts that take place all across the country each December. We’d stopped at a small park to walk a trail around a little lake, where we found some downy woodpeckers and American tree sparrows, but not much else. As we emerged from the woods, we came upon this fascinating osage orange tree (Maclura pomifera). The ground beneath the tree was littered with dozens of spectacular, grapefruit-sized fruits. I couldn’t resist a brief stop to examine them more closely. 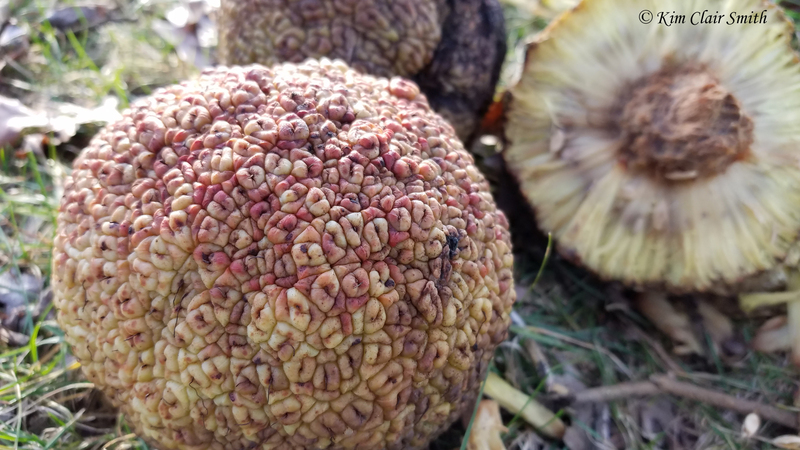 If you’ve never seen one of these strange fruits before, your first impression is likely to be that it looks oddly like a brain. When fresh, the fruits are bright green. These were obviously past their prime, and many were rotting. Some had lovely reddish coloring, and a few had been tasted by unknown critters, possibly squirrel or deer. I’m told they aren’t very palatable, and I’m not willing to taste one to find out. I examined one of the fruits that was split open, and found that it has sections that remind me of broccoli or pineapple. As we talked about this tree, I learned the concept of anachronistic plants. They’re still here, long after the demise of any animals that would have been large enough to forage on them. So they apparently don’t serve much purpose any longer, at least for larger animals. I would imagine there are insects that feed on this tree and birds that nest in it, although Ohio is not its natural range. It occurs naturally in Texas, but here in Ohio it’s considered an alien species. It was brought here by early settlers who had found that the thorny osage orange could be used as an effective livestock barrier when planted in thick hedges (thus the alternate name of hedge apple). 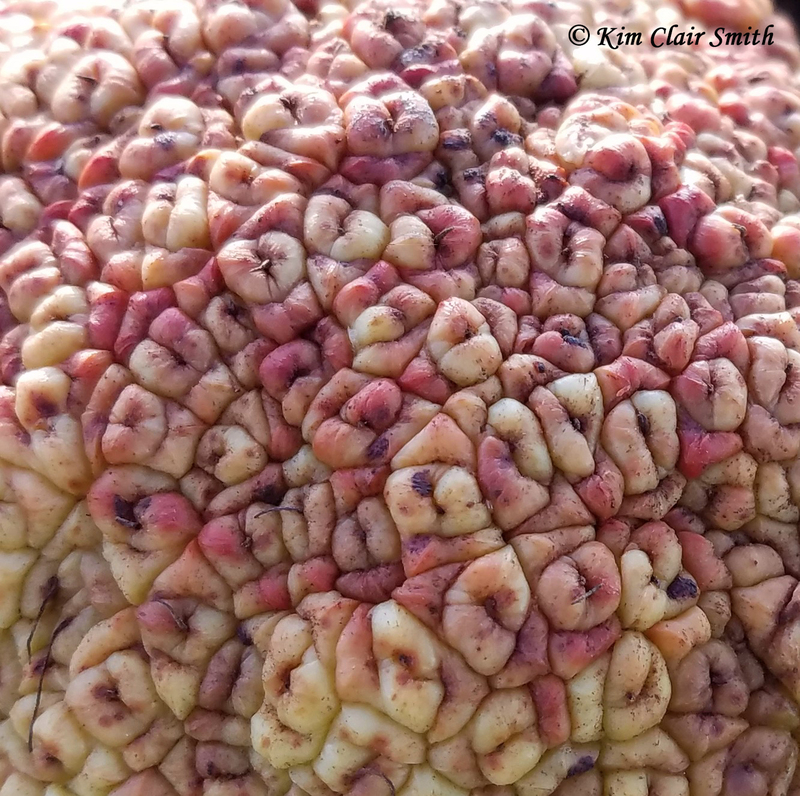 This entry was posted in Trees and tagged botany, fruit, maclura pomifera, Ohio, osage orange, tree. Bookmark the permalink. 6 Responses to Brain Food or Useless Fruit? I grew up in Southern Ohio and we also had many osage orange trees there. 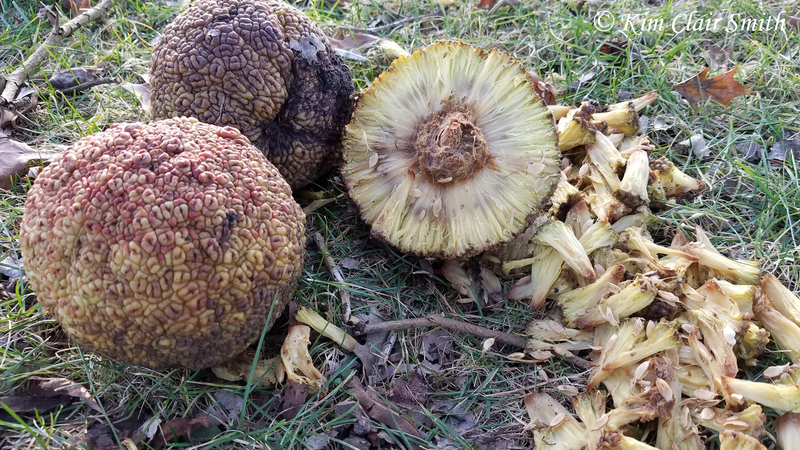 I have a distinct memory of riding in my Dad’s truck and asking him what those large green things were and he told me ‘Osage orange’. I never forgot it. Happy New Year Kim. Happy New Year to you too, Ardys! 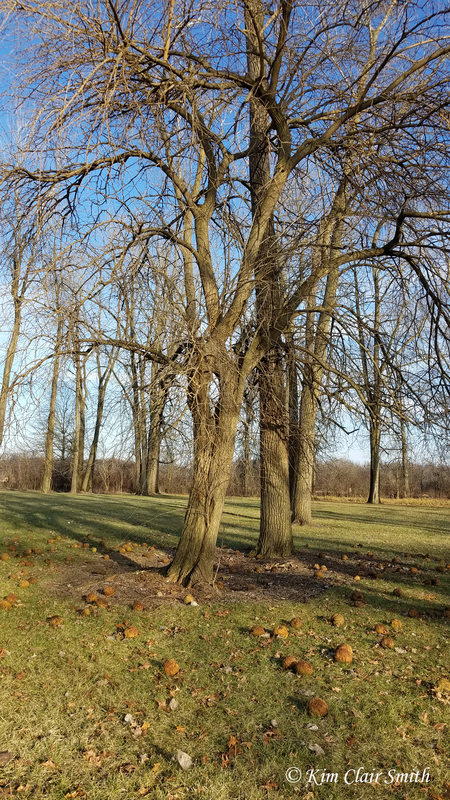 We have many Osage Orange trees on our property. I’ve been entangled in their thorny branches many times while cutting them down. The fruits are a lime green color and eventually turn brown in the winter months. I’ve never seen them the color shown in your photos. The fruits aren’t good for anything that I know, and I’ve never seen anything eat or peck at them for nutrition. I have noticed that squirrels use the inner fluff (after they’re dried and hard) to line winter nests though. I do take them indoors for decoration when they’re lime green color. I have never had them release insects and I’ve never heard of them rotting because they harden and become like stones! I can’t imagine them rotting – perhaps that person found them in a rather warm and moist climate. The wood of the Osage Orange is excellent for fence posts. They’ll weather any condition and last much longer than chemically treated posts.I just can’t imagine anyone taking the time to cut them into posts. And, the Native American’s commonly used the tough wood to fashion bows from. Working with Osage Orange trees is difficult. The branches will quickly ensnare you – I have one pair of patched work pants that I wear ONLY when I’m cutting osage orange out of the orchard. I keep Bandaids in the buggy too. One never escapes without being cut or poked. Wow, you definitely know these trees well, Lori! It seems that those giant fruits would be hard to overlook, so I’m not sure why I haven’t encountered any of these trees when the fruits are green and still on the trees. Maybe I spend too much time looking down (for insects!) instead of looking up. I’m going to search for them this summer. I always find these greenish/yellow fruits to be a cheerful sign of autumn. The gnarly trees are interesting too. I don’t see them as much as I used to. The fence rows are kept so tidy now days. Yep, I liked the gnarly tree form too. As I mentioned to Lori above, I’m going on a mission to find one of these trees near my home this summer. I’d love to see the green fruits.